This LED Light is Remote Control Compatible. The Remote Control is sold separately. Want super bright, super efficient, white light? Want to spend just a little and get a whole lot of bang for your buck? 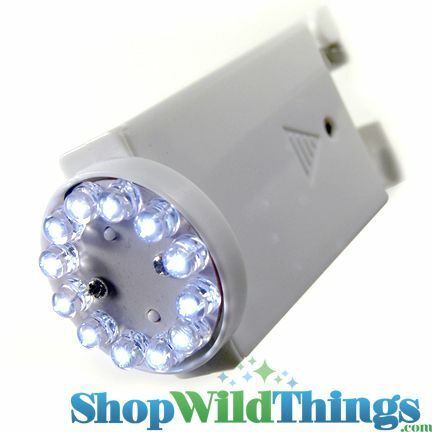 Our new LED Light is battery powered and features 12 LED bulbs in bright white. 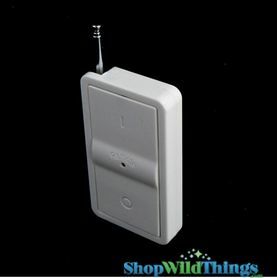 Features handy On/Off/Remote switch. For events, turning the light on ahead of time and using the remote to control the on/off functions is a convenient and useful tool since you'll manually shut off the lights at the end of your event. However, for occasional use of remote compatible lights, you'd want to manually switch the light off and on - when the battery-operated light is switched on and left on, using the remote to turn the light off does not prevent the battery from draining on the light. You must physically turn the light off so the battery doesn't drain. Needed to light several Chinese paper lanterns used in a tent for a wedding reception. Tried tea lights, gave up on them almost immediately! Googled lighting for paper lanterns and found these LED lights. Ordered a few, then ended up ordering more when I saw the lighting effect. LEDs are bright when turned on outside the paper lanterns, but they provide soft, distinctive and adequate lighting when attached inside the lanterns. I used white, lavender, and dark purple lanterns in my lighting scheme. ProsWonderful, distinctive lighting. Didn't need any other lighting source. These lights are totally worth the money! I only bought enough to light a few of the lanterns I ordered. Wishing now I'd lit them all! ProsBright and compact. Using in paper lanterns. ConsUsed 3 AAA batteries. Hope it doesn't use lots of power. Awesome purchase! Used them in paper lanterns in bedroom where grandkids hangout. They loved the lights not to mention using the compatible remote I ordered also. The LED lighting is really calming and a great enhancement to the bedroom when watching TV. That's from the gkids. I also purchased as a birthday gift for my girlfriend. 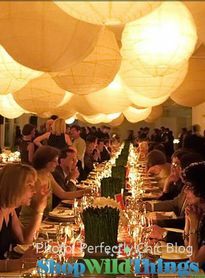 We ordered these lights for use in 100 Chinese lanterns hung over a wedding reception dance floor. They provided an intimate light that was perfect.